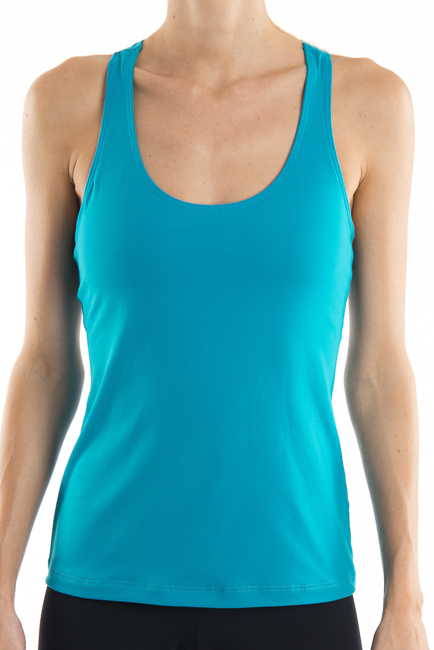 Womens Yoga tank top designed for comfort and support. The deep scoop neckline flatters; while the narrow t back racer strap keeps you secure & allows you full range of motion to move without restriction. Power Mesh shelf bra. 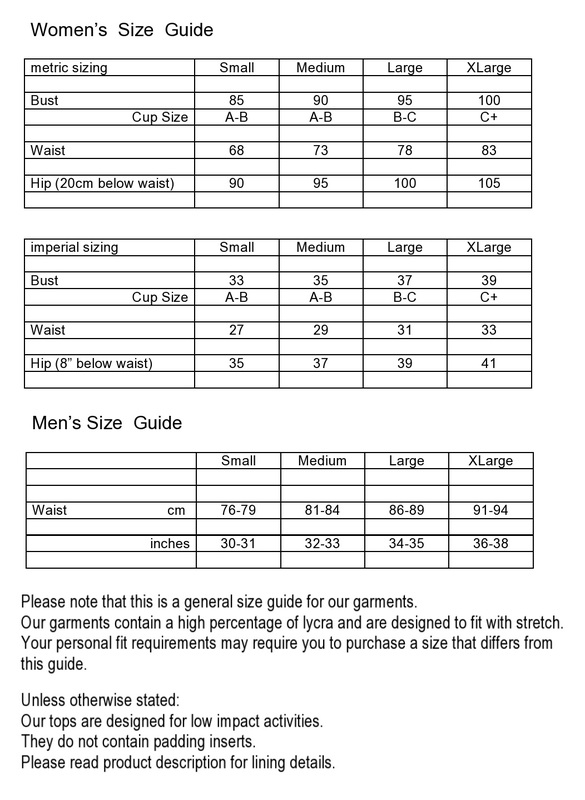 Ideal for cup sizes A to C.